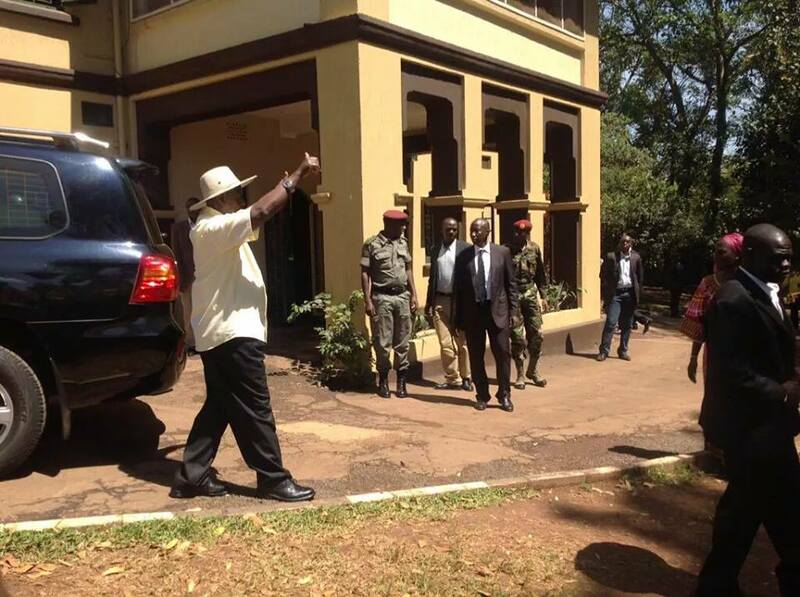 NRM Electoral Commission Chairman Tanga Odoi verifies aspirant Yoweri Museveni’s documents! 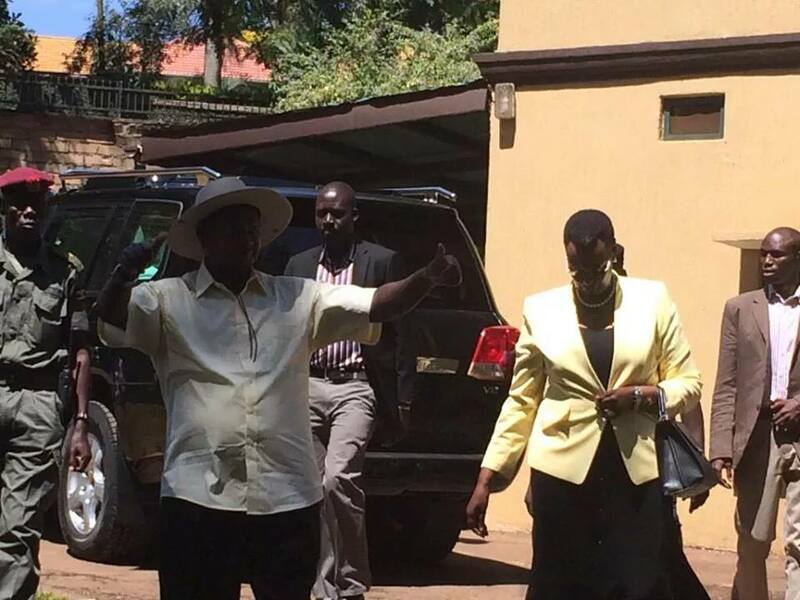 President Museveni arrives in the company of First Lady Hon. 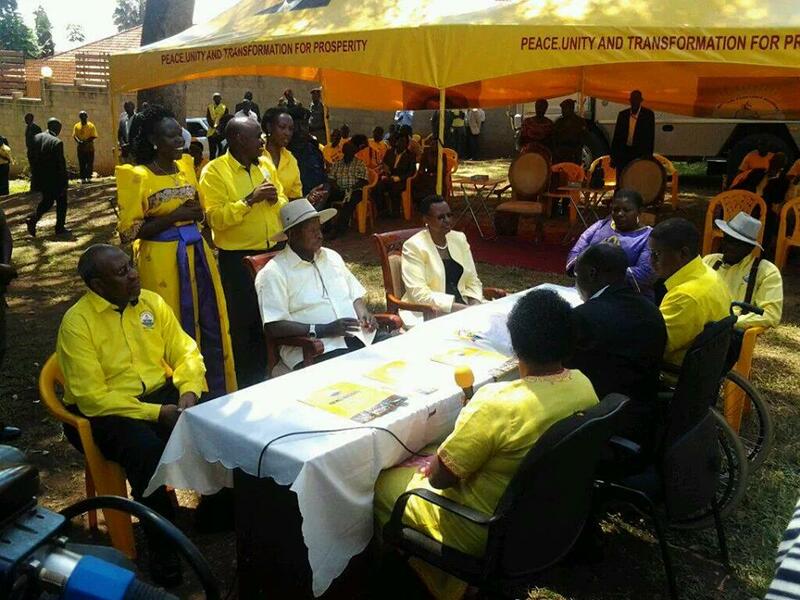 Janet Museveni for nomination as NRM Presidential Flagbearer! Really? The only one? 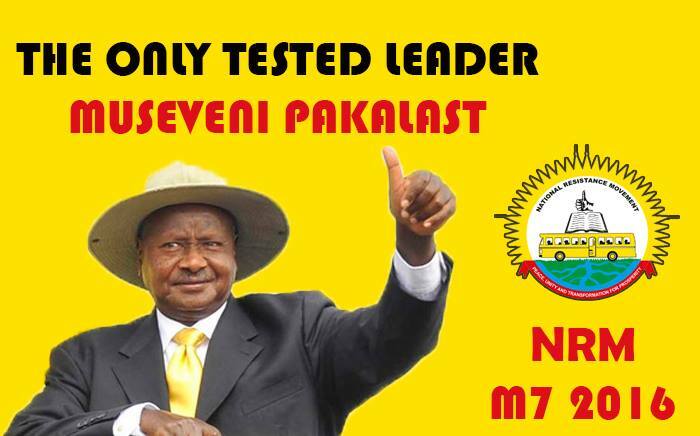 Interesting thing to say… What about UNRA and all the other recent stories? But good luck with your continuation of fear campaign until the 2016 election! We all knew you would run again and run the party a little more with you first lady. We all will know you was running! Nobody was like – did he? Did he? No! So welcome to yet another term. 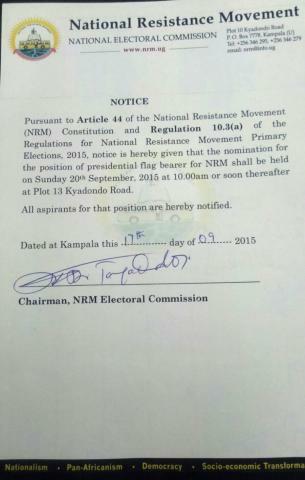 We sure has a feeling you will rigg this especially with the reports of UPDF guys put into the Electoral Commission! Peace.